Poe Dameron Jacket is an inspiration from the Oscar Issac’s Poe Dameron character in Star Wars: The Last Jedi. 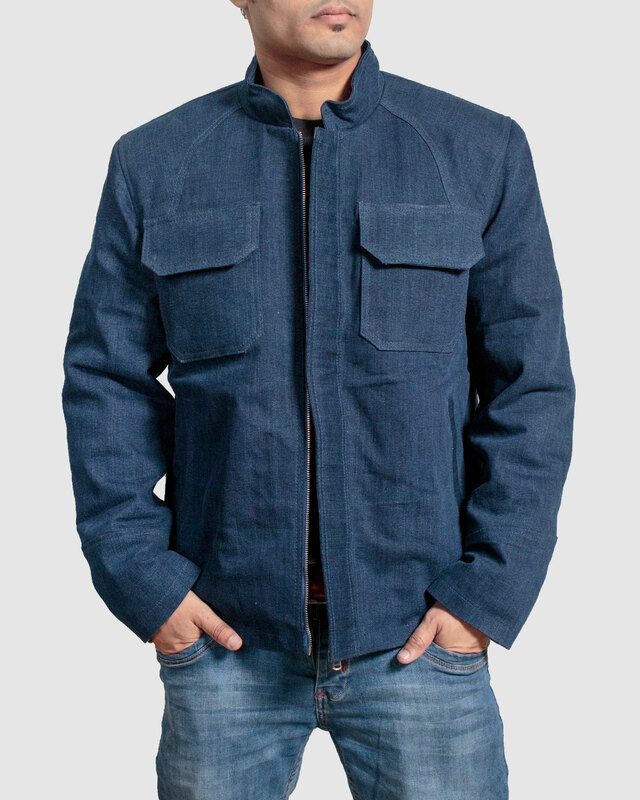 This blue denim jacket made with 100% cotton features a front placket with snap down zip closure, erect collar, two chest pockets and two front side pockets. The jacket has two pockets inside and finished rebel alliance logo on one sleeve.